ATHENS (Reuters) - Greece said on Saturday it had no short-term cash problem and that it will hand its European Union partners a comprehensive plan next week for managing the transition to a new debt deal. The EU has warned time is running out to avoid a financing crisis in Greece. The new left-wing government in Athens has rejected the austerity that was forced upon the country by an EU/International Monetary Fund bailout and instead says it wants a "bridge agreement" until it has negotiated a new deal. "We will present a comprehensive proposal on Wednesday," Finance Minister Yanis Varoufakis said, referring to a meeting of euro zone finance ministers in Brussels on that day. Varoufakis was attending a cabinet meeting called to prepare the government's overall policy programme, which Prime Minister Alexis Tsipras will present to parliament on Sunday. On Friday, Jeroen Dijsselbloem, who chairs the Eurogroup of euro zone finance ministers, told Reuters that Greece had to apply for an extension of its reform-for-loans plan by Feb. 16 to ensure the euro zone keeps backing it financially. This is essentially an extension of the current bailout, something Greece has said it does not want and will not accept. It is due a 7.2 billion euro trance from the EU/IMF bailout, which it says it does not want because of the austerity strings attached. Instead, Athens wants authority from the euro zone to issue more short-term debt to tide it over until a new deal is agreed, and to receive already-agreed profits that the European Central Bank and other central banks have gained from holding Greek bonds. That has raised concerns the country may suffer a cash crunch, but this was dismissed on Saturday by the Greek official in charge of the government's accounts. "During the time span of the negotiations there is no problem (of liquidity). 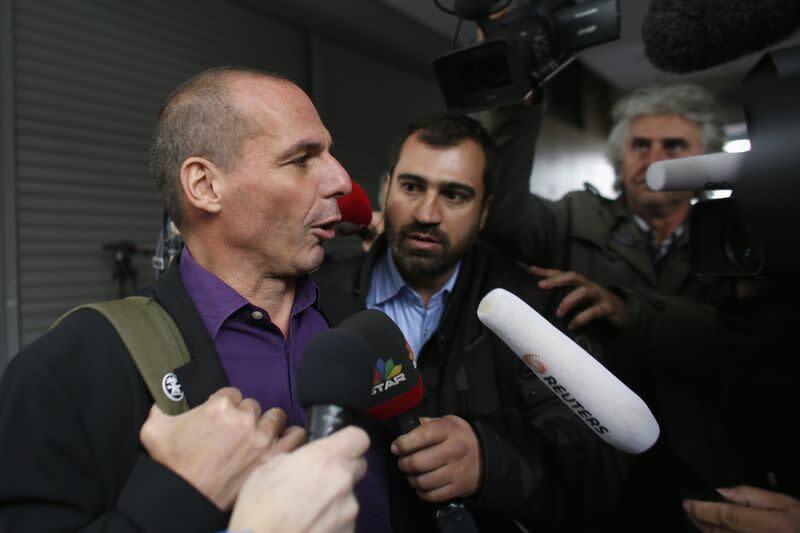 This does not mean that there will be a problem afterwards," Deputy Finance Minister Dimitris Mardas said on Mega TV. "Even if they did, we can find money," he said.